your product is just a phone call, fax or e-mail away. except US. 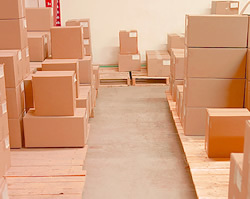 While other company's leave most of their clients to manage their own inventory, we offer services to keep track of your forms and supplies inventory. When the numbers get low, we can advise you to reorder. This allows us to relieve your stress of rush ordering, as well as stock outs. 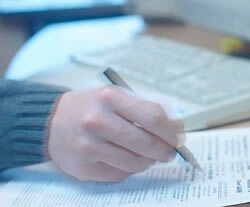 We are also able to store your forms, replenish quantities on demand. By doing your forms inventory, we will be able to be in constant communication with the forms end-user, and be able to stay updated with its usage and needs. This will give you the opportunity to make sure you are getting the best functionality of your product. Our experienced team at Bryant has an average of over 25 years in the printing industry. We have the type of trusted experience you need and deserve to assist you with your forms design and print needs. We are able to evaluate and do research on your existing product and offer you solutions for your business forms, envelopes, labels, checks, brochures, booklets, promotional products or any other project. Today, industries and technology are constantly changing, and we are able to help you stay current with these changes while suggesting better methods that may save you time and money. With all of this...there is no reason not to let us look at your forms the next time you are reordering, designing or updating a form or label. We look forward to working with you as we are excited to share our knowledge of the industry.